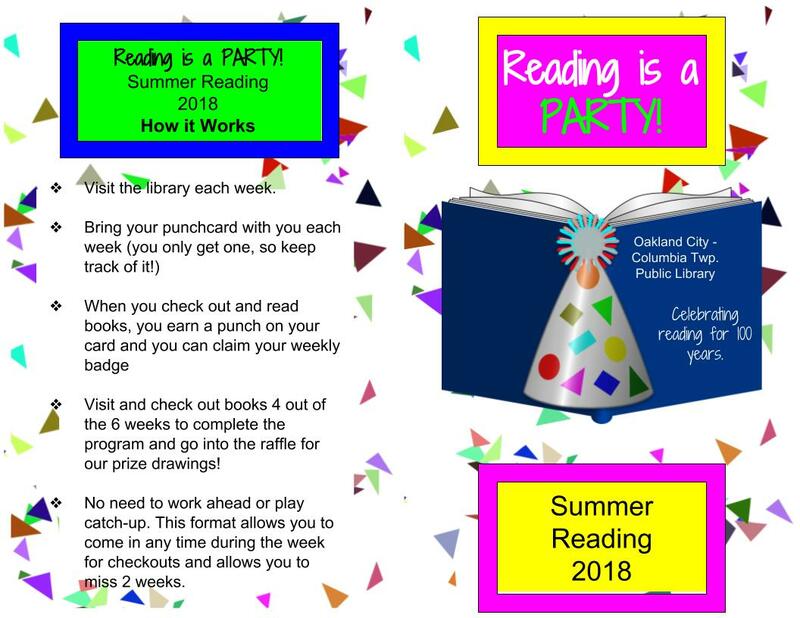 This year we celebrate our 100th anniversary of serving Oakland City, so what better theme than Reading Is A Party! 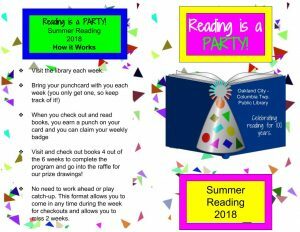 Summer Reading is for kids pre-school through 6th grade. Sign up and complete 4 of the 6 weeks to register to win great prizes! 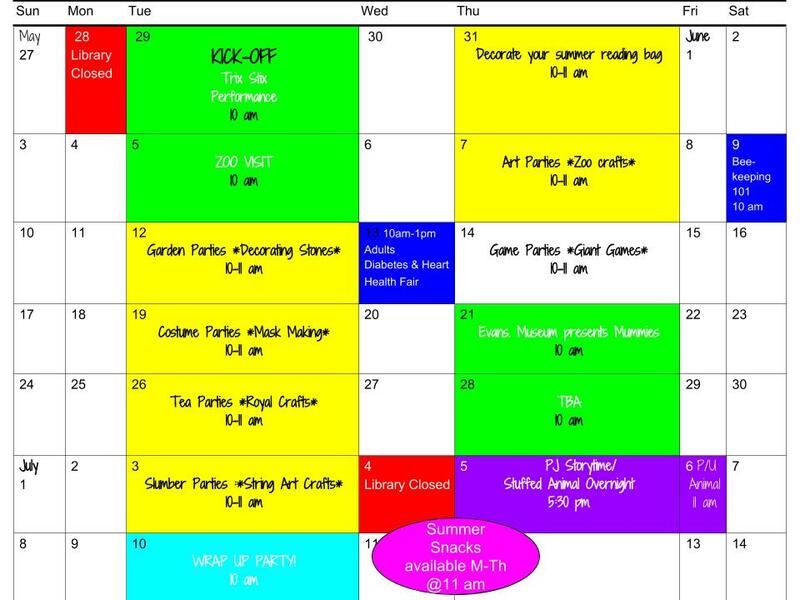 Here is a look at our planned events. Adults and teens are welcomed to participate in our Avid Reader Club and Toddlers are encouraged to be active in our 1,000 Books Before Kindergarten.